Model year 1983 heralded a new addition to the Volvo range - the 360 Series. 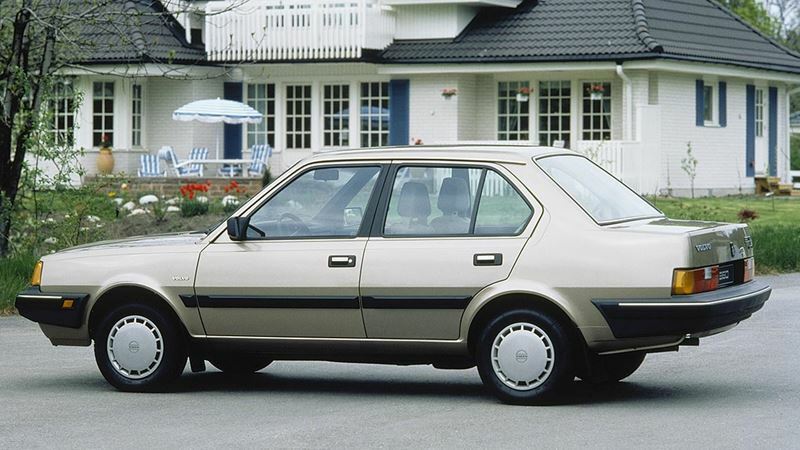 The Volvo 360 originated in the 340 models, but was powered by a 4-cylinder 2-litre engine. The new car was also better equipped, and the "360" designation was introduced to give the new model a stronger profile in the Volvo range. A year after the launch of the 360 Series, the range was expanded with a 4-door sedan featuring a conventional luggage compartment. This version gave the body a longer rear overhang and thus increased total body length as well. In addition to the 4-door model shown here, the Volvo 360 was also available with a choice between 3-door and 5-door hatchback bodies.